Perfect finish and excellent detail. A worthwhile upgrade for the Tamiya kit. DEF Model is fast becoming an aftermarket producer of choice for many. 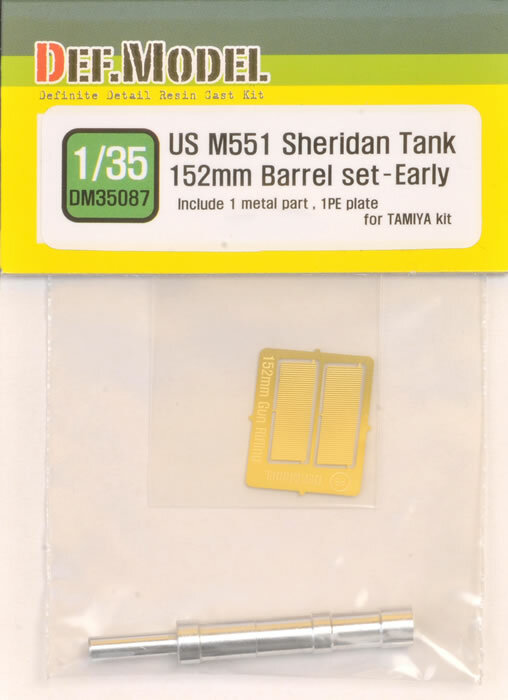 Their range is expanding and it is pleasant to see they have released two new additions for the recently released Tamiya Sheridan. Now I know what most of you are now thinking. Why would I purchase these when Tamiya has already released an update set for it? 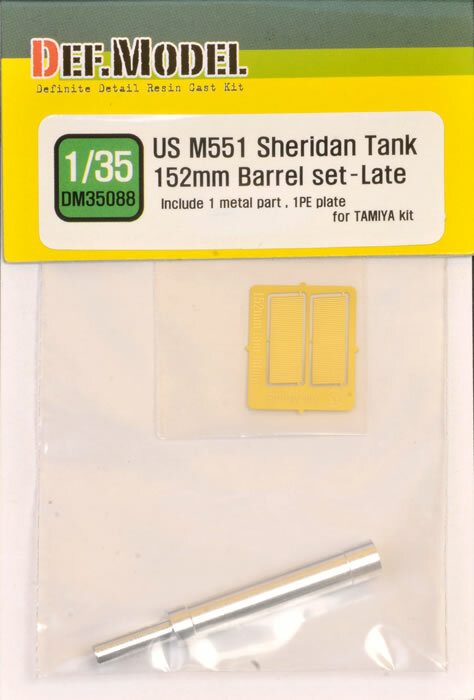 Well, if you just want the barrel then these two sets give you the option of either the early barrel (as in the Tamiya update) or the late barrel. In addition, the DEF barrels have the rifling as a small photo-etch plate that you simply roll up and place in the inside of the barrel itself. The only negative noticed was the hollowed out section of the barrel itself may be a tad shallow for some, otherwise these are two very welcome updates.